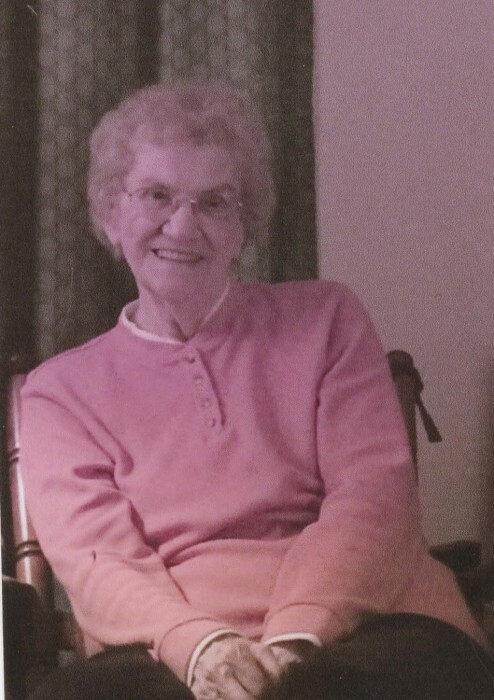 Obituary for Mary Lou (Powell) Adams | Frank F. Gigler Funeral Home, Inc.
Mary Lou Adams, 91, of New Kensington died peacefully, Sunday, March 31, 2019. She was born December 23, 1927 in New Kensington. She was the daughter of the late Joseph and Frances (Fritz) Powell and was preceded in death by her husband Robert R. Adams; brothers William Powell; Marlin “Bud” Powell and John “Virg” Powell; sisters; Margaret Strate, Lenora Zarisky, and Emily Ruth Powell. Mary was a honorary member of First Baptist Church of Upper Burrell. She enjoyed puzzles, watching hummingbirds and was an avid reader. She is survived by her loving children Robert “Al” (Debbie) Adams of New Kensington and Sandy (Bob) Stewart of Apollo. Loving Grandmother of Alan (Nikki) Adams of Plum; Bobby (Janel) Stewart of Plum; Jamie (John) Medure of Springdale, Joe Stewart of New Kensington, Jodie (Jason) Gordish of Hyde Park, and Missy Holmes of Apollo; 14 Great grandchildren; also sister of Virginia Johnston of Sarver, Norma (Jim) Ryba of Lower Burrell and Carolyn (Richard) Emmert, of Upper Burrell and Clifford Powell of Lower Burrell. Family and friends will be received from 2-4 and 7-9 p.m. on Tuesday in the Frank F. Gigler Funeral Home, Inc. Robert P. Karish, supervisor, 2877 Leechburg Road, Lower Burrell, PA 15068, where funeral service will be held at 11 a.m. on Wednesday. Interment will be in Greenwood Memorial Park.